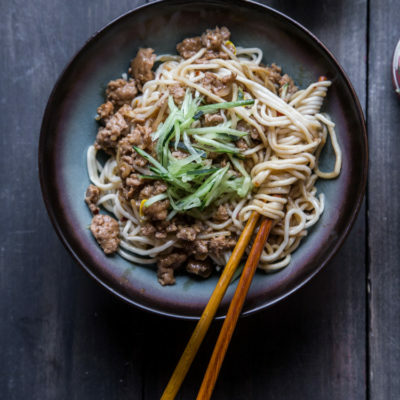 Noodles are smothered in meat sauce made of ground/minced meat with Chinese black bean sauce and topped with refreshing shreds of cucumber. 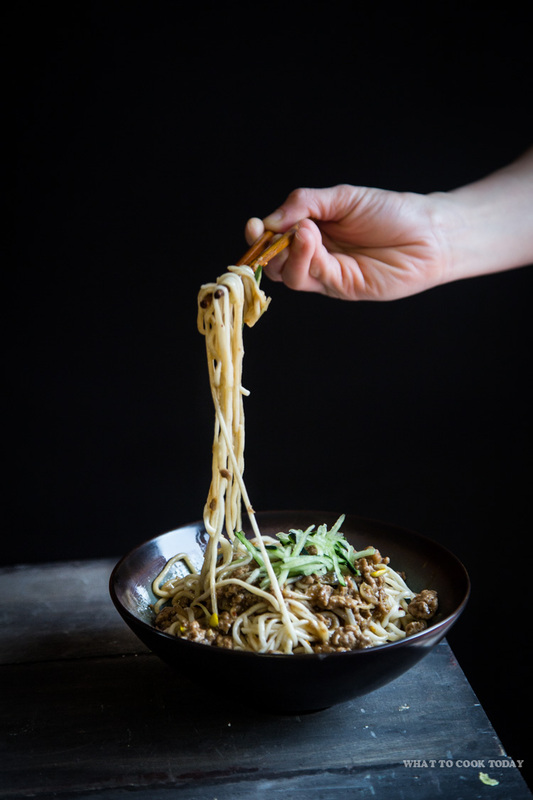 Zha jiang mian is our household favorite noodle. Talking about zha jiang mian, I’m taken back to my almost-once-a-week-date with my sister at the Crystal Jade Restaurant in Singapore. Zha jiang mian was always what we ordered. I really like the zha jiang mian noodle there. Zha jiang mian is originated from northern China. 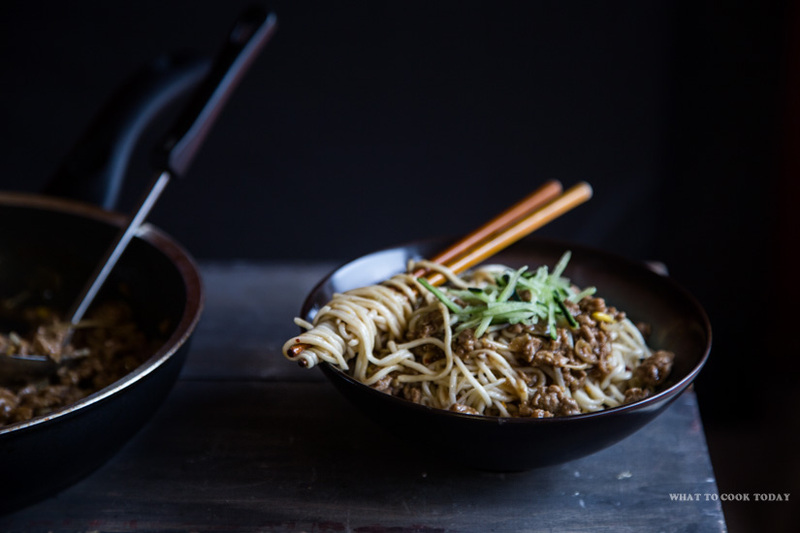 Zha jiang means bean sauce and mian means noodles in Chinese language. 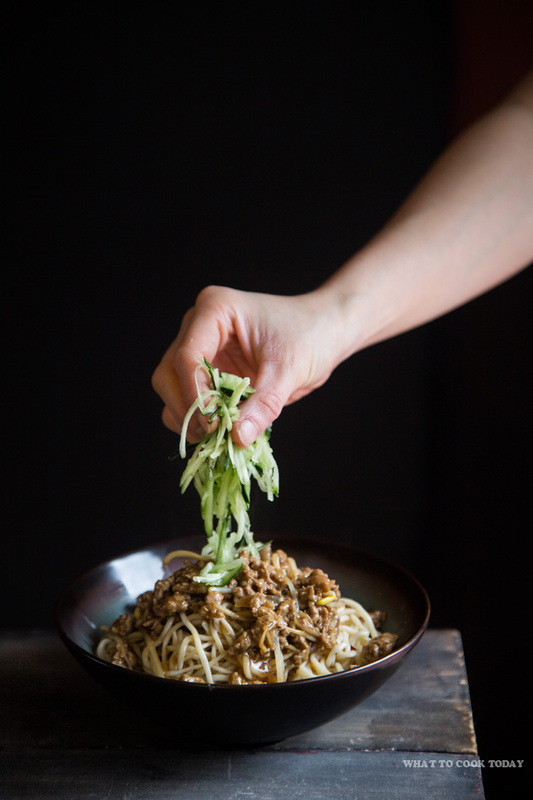 The noodles are served with a meat sauce poured on top of it. 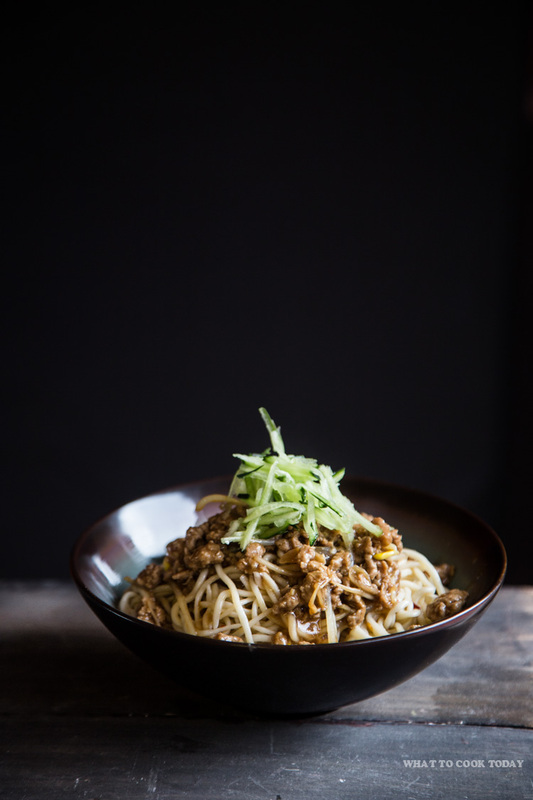 The meat sauce is made with ground meat, usually pork is used and simmered in sweet bean sauce (tian mian jiang). 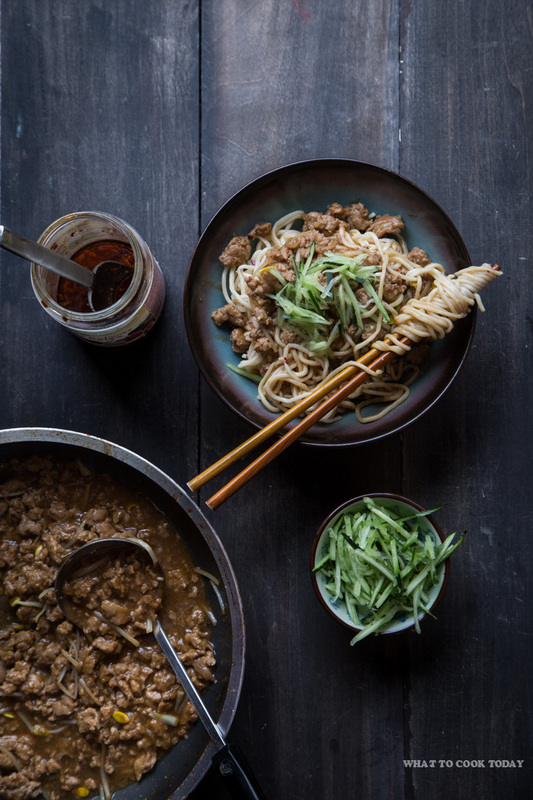 Tian mian jiang literally means sweet noodle sauce. This is also the same sauce used to make Peking duck. It can be easily found in Asian store, but if you can’t find any, you can substitute with hoisin sauce. It’s pretty similar, though hoisin sauce is a bit sweeter while tian mian jiang still has that savory side of it. I can’t say this is exactly like the one we had at the restaurant, but it’s very delicious too. 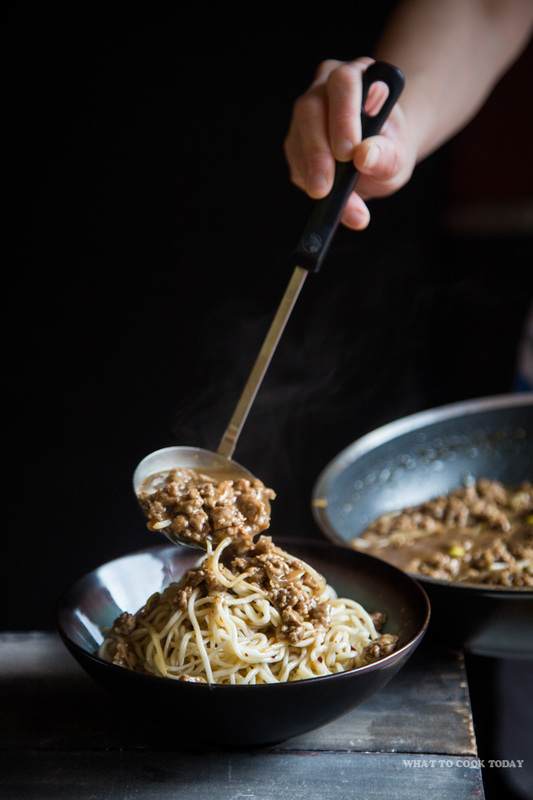 My two kids love the meat sauce and when they love it, it’s a winner (period). I couldn’t have enough of zha jiang mian when my sister first introduced it to me (thank you sis!) when I was in Singapore. It was our “weekly” thing to eat in Singapore. Now, I can make my own when that craving hits! 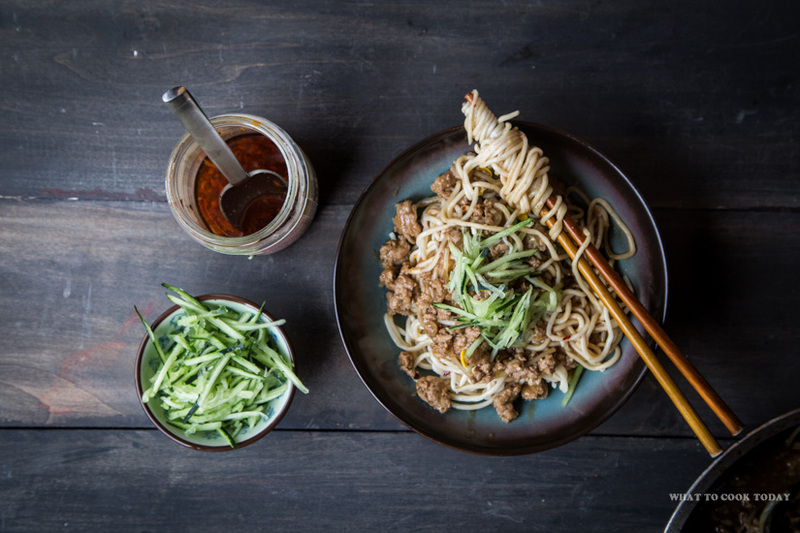 Noodles are smothered in Beijing style meat sauce and topped with refreshing shreds of cucumber. 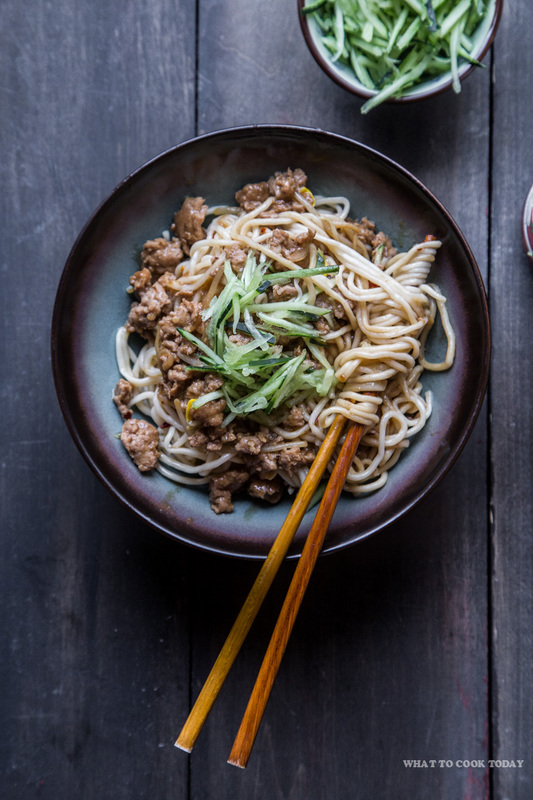 Zha jiang mian is our household favorite noodle. Add the ground meat and cook for 6 minutes and then add in the wine and stock. Bring it back to a boil and then lower the heat to let it simmer for about 10 minutes. Have a taste. Add more salt and pepper to your taste. Give the corn starch solution a stir and pour it in and the sauce will thicken slightly. This is literally my favorite dish! I’m so glad to have stumbled onto your recipe and I can’t wait to give it a go!!! Thank you so much Rebecca. I hope you like it if you give it a try! Please let me know if you have a chance to do so.